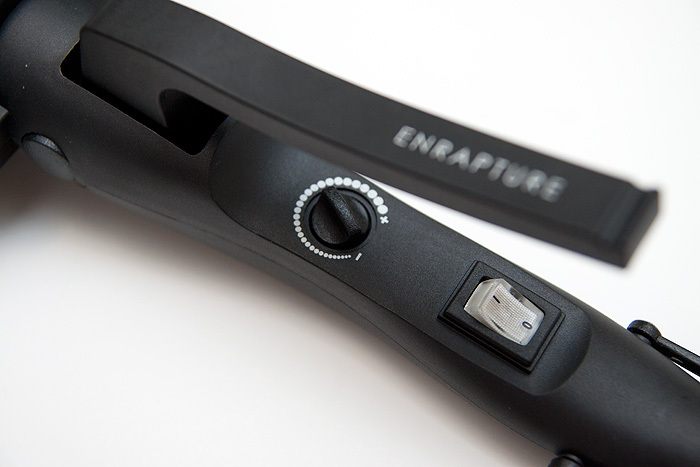 The second of the three new hair styling tools from Enrapture due to be released on the 15th August is the Enrapture Amplify Jumbo Waver*. 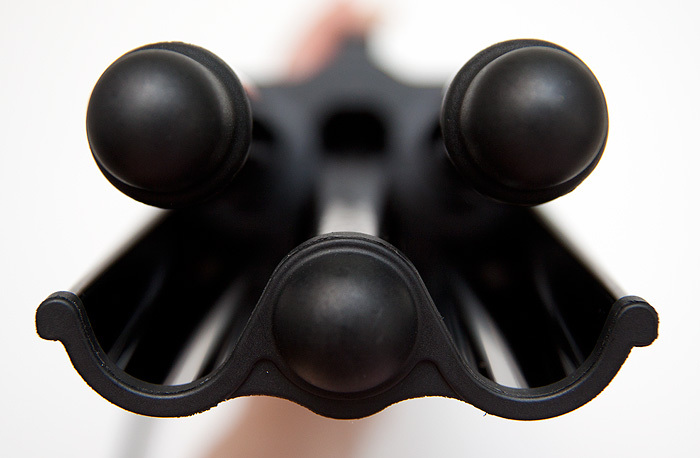 An odd-looking device with a trio of barrels that promise to coax your hair into a series of smooth “S” shapes, a.k.a “beachy” waves. In theory, we’ve been here before. I recently tried the Babyliss Wave Envy which although thoroughly impressive in design, abilities and price, left me with more of a ‘crimp’ than a ‘wave’. These bad boys boast an impressive 25mm barrel (hence the Jumbo!) which means that they should ensure less crimping and more waving! They’re heavy but not ‘too’ heavy to hold comfortably. I found them a little unwieldy around the back of my head but I do have fairly short arms and a distinct lack of co-ordination. The ‘flipper’ which controls the open/close mechanism on the waver is well engineered, with a light almost springy reaction. This makes sure you don’t get thumb ache when ‘waving’! 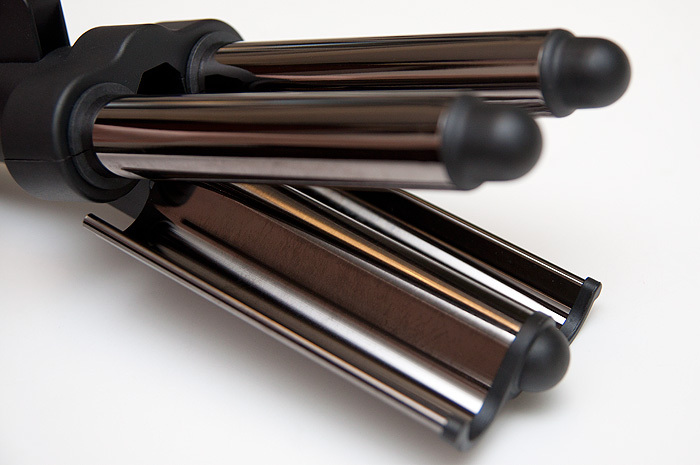 The barrels are made from titanium which promises to give a smooth and snag free styling experience and I can’t argue with that as I experienced no issues with dragging or catching on my hair as I moved the styler through various sections. It has an adjustable heat setting which I would have preferred to see digitised with actual temperature detailing so I could judge exactly how hot the tool was getting. On the flipside, the controls are ridiculously simple. An on/off switch and a heat dial. Thassit. So how did I get on with the styler? Well… pretty well actually. 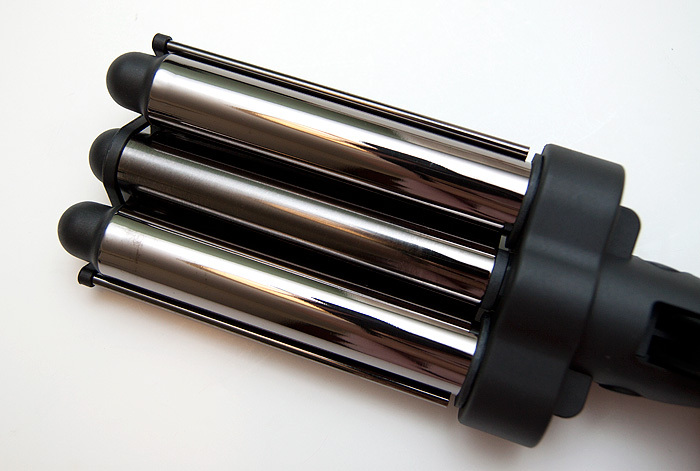 Similarly to the Babyliss, it’s ridiculously easy to use from a technical point of view. I’m sure you’re ‘supposed’ to section your hair into accurate little pieces but I just fed handfuls of it willy-nilly into the jaws of the styler, clamped, moved down the hair shaft, clamped again… repeat until you run out of hair. And that’s all I did. I’m one of those ‘stylers’ who often start with the best of intentions. All my little clips, brush, heat protection sprays surrounding me. After about 7 minutes I’m just shoving my hair AT the styling tool and hoping for the best. I was done in 10 minutes which goes against the brand’s ethos of “When everyday hair just isn’t enough” because I’d politely suggest that this is perfect everyday hair. Everyday ‘tousled’ hair. 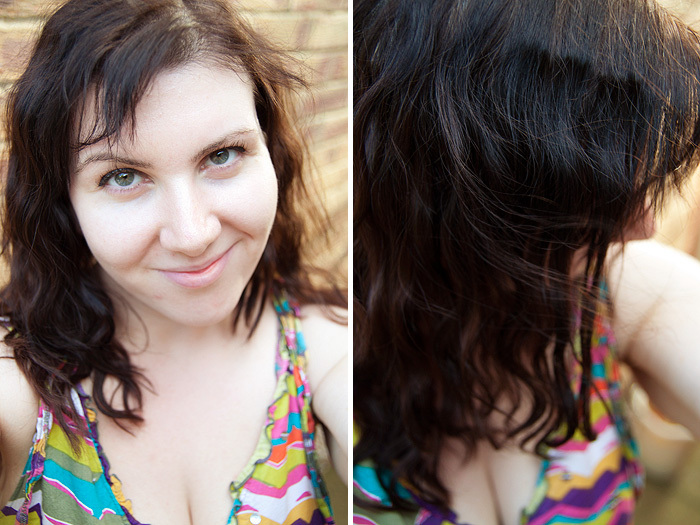 Wanna see what I managed to get from the Enrapture Amplify Jumbo Waver? I had it on the ‘non-commital’ halfway heat setting as shown in the above photo and held the clamp shut for around 10 seconds. That’s probably too long or something but my hair doesn’t seem to be complaining… I’ll try turning the temperature up and clamping for less time next attempt. I’m really digging this styler, it solves the crimping problems I found with the Babyliss (albeit at a heftier price tag). It looks impressive, but I would need longer hair to make it pay off! Looks lovely! I prefer this to the Babyliss as I like the more wavy look. I would be very tempted by these as I have lost much of my natural wave and these seem easier then using a bunch of styling products. Really love the effect of this but the £75 price tag makes me shudder a bit! 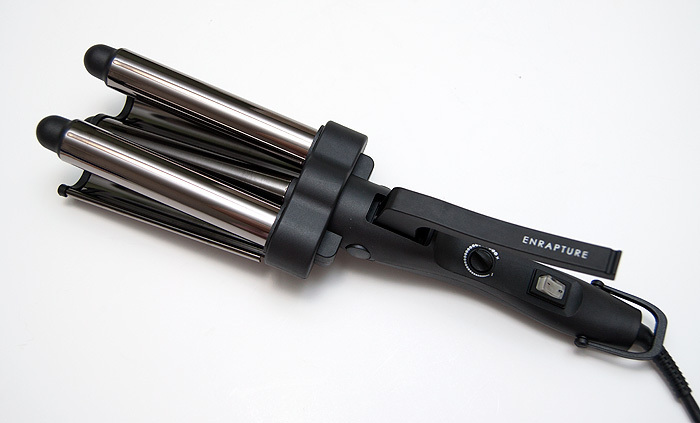 I’m one of those people that wouldn’t pay more than £30 for a heat tool! This makes your hair look lovley, much nicer and more natural than the babyliss waver! I thought it was a digicam tripod LOL!!! Your hair looks great sone with this, very natural! Pretty, but pricey! I bought my first-ever curling iron this week (!!!) and I hope I manage to get such nice waves with mine. I guess it depends on the look you’re going for, because I liked the bohemian hippy look from the Babyliss too. But you need some mousse at the roots, I’m a child of the 80s and all about the big hair! lol I’m looking at the pics and thinking, bigger! pouf out the roots! im thinking of getting this waver, but which one did you think was better the babyliss wave envy or the enrapture amplify jumbo waver? Hi Emily, I preferred the Enrapture Amplify Jumbo Waver because it gave more of a beachy waved look and less of a crimped look. But it depends on which look you prefer!